Hebrew had ceased to be an everyday spoken language somewhere between 200 and 400 CE, declining since the aftermath of the Bar Kokhba revolt. Aramaic and to a lesser extent Greek were already in use as international languages, especially among elites and immigrants. It survived into the medieval period as the language of Jewish liturgy, rabbinic literature, intra-Jewish commerce, and poetry. Then, in the 19th century, it was revived as a spoken and literary language, and, according to Ethnologue, had become, as of 1998, the language of 5 million people worldwide. 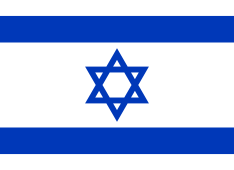 The United States has the second largest Hebrew speaking population, with 220,000 fluent speakers, mostly from Israel. Let’s take, for example, technical translations in Hebrew. All the projects are coordinated by one of the senior company founders, whose competencies are based on technical knowledge, together with a linguistic expert and a Project manager with years of experience in the field of translations. All translations from English into Hebrew or from Hebrew to English are done by professional translators. Depending on your requirements, the translations are subsequently verified by a specialist reviewer in the repsective field of expertise. As for medical translations in/from Hebrew, these translation projects are coordinated by the main founder of the company, whose know-how comes from in-depth medical knowledge, along with a linguist expert and a Project Manager with experience in translations in the medical field. Legal translations in/from Hebrew are coordinated by a licensed lawyer, together with a linguist expert and a Project Manager with a lot of experience in this area.